The fanny pack around your waist keeps you organized with valuables close by. The small messenger keeps you hands-free, will be on hand once your travel bag is tucked away, and will act as a day and dinner bag. 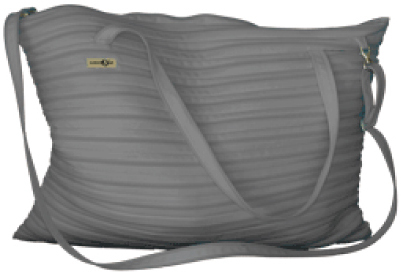 The travel/beach bag, holds 65 lbs, so it’s easy to include your travel jacket, your collection of travel toiletries, books, and Ipad or laptap, with room for a couple of clothing changes. 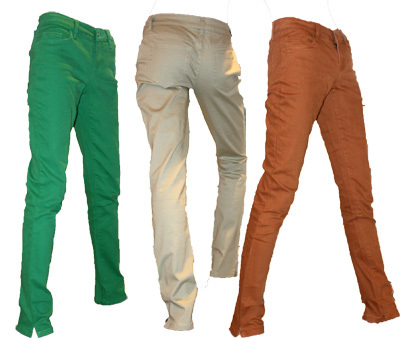 Remarkable stretch skinny pants for travel comfort in many colors, bold or muted. Washable one size scrunch tops in an array of colors, adorned with . . .
MOI MOI tissue weight cashmere and silk scarves, coordinated colors to add pizzazz, Italian Chic, or Parisian flare, to co-ordinate and enhance any outfit. Not traveling? These pieces will still work well and make you feel you’re on vacation! Check us out online www.bb1classic.com. 1. Can you tell us a little bit about your art? How did you get started? I started painting in 1998 after the unexpected death of my father. I used my art as a means of healing and never intended it to blossom into a career. 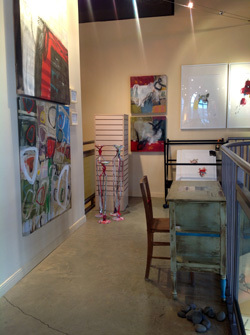 At the encouragement of friends I started to show and sell some of my pieces. I thought–if I could make a career out of doing something I love I would have to give my all and make it happen. Although I have a number of art styles, my primary art style is known as Escapism. Generally, it combines confident, vibrant abstract brushstrokes with a few elements of realism: an arrow, a cloud, a numeral or a checkerboard grid. Just as the healing process is not easy, neither is the true appreciation of abstract art. The touch of realism assists the viewer to become comfortable with the world of the abstract. 2. What is/are your favorite medium(s)? My primary medium is acrylic on canvas or wood. However, I love to work with a great deal of additional media, including salvage wood, neon, enamel, graphite and collage. 3. What are a few of your favorite pieces? 4. The goal of your mentorship program is to destroy the stereotype of the struggling artist… How did you overcome the obstacles you faced when you were starting out? Also, how do up and coming artists apply for John Ross Palmer’s Mentorship Program? For me personally, I learned that I had to trust my own instincts about art and business. So many people would tell me: I’m creating too much, I’m overexposed, I need a Masters degree, I need to be in the “right” galleries. None of this is true. I now create art as a full-time business. I must create to make ends meet–it is not a hobby. I’m not apologetic about wanting to earn money and be a success, just like any other professional. Read more here: http://www.EscapistProgram.com. 5. Finally, from where do you draw your inspiration? I love to travel and I gain a tremendous amount of inspiration from visiting new places and interacting with new cultures. 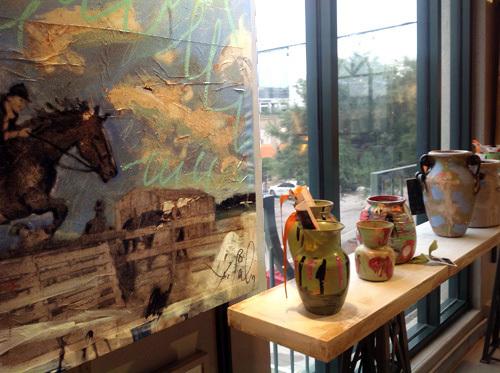 I have beautiful memories from my childhood from riding horses–they often appear in my artwork. Nature is a huge inspiration, and so is light. BB1 Classic in Uptown Park is known as a destination for art, design, and fashion. A first in retail, Artist John Ross Palmer, together with Calli and Julian Saitowitz, purveyors of BB1 Classic, has floated a studio of unique and one of a kind items: Hand-painted vintage handbags and wallets, painted memory boxes for keepsakes, highest-quality scarves, books, pottery, furniture, chess boards, and Palmer’s art woven in to silk and wool carpets. 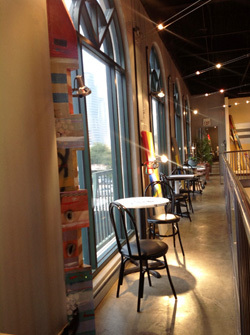 Original works of art are featured on the walls of the Upper Deck of the boutique, where the Artist can be found on most days. 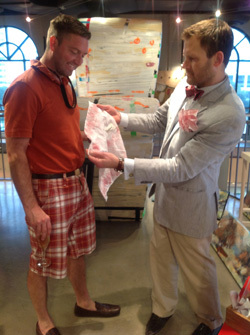 John Ross Palmer is known for his Escapism style. He slowly pulls the viewer into the world of the abstract with subtle, realistic images. His philosophy to leave behind life’s challenges, to enjoy the now, and rejoice in the blessings we have can be felt in all of the objects and art pieces John has cobbled together in his second retail environment. The connection and fusion of Art with fashion and fashion with Art create a major cultural statement. Throughout the ages, art has influenced designers, yet designers are artists themselves through their own design technique and interpretations of what sets the pace in an ever-changing world. A renowned Artist in our midst and a further collaboration of sisters Calli and Moira, MOIMOI was born: fine cashmere and silk scarf wraps (manufactured with a friend from Nepal) in bold and contrasting colors, with the element of art from John Ross Palmer. There is no doubt that horses play an important part in the life and art inspiration of John Ross Palmer. MOIMOI brings his “Equestrian Series” to life on distinct scarf interpretations which will awaken and delight your fashion senses. 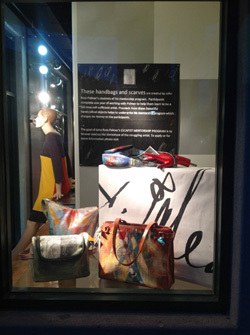 Art elevating fashion and fashion popularizing art – you can feel it, touch it, see it! The Artist, with a larger than life personality, never stops. The commercial and creative forces engage our customers and have them stop by from time to time just for a zen moment to relax, take it in, and want to take it home.